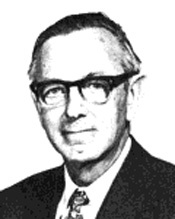 Maston Beard graduated in 1939 from Sydney University and was involved in radio transmitter design and radar research until joining the CSIRAC project in 1947. When the computer was moved to the University of Melbourne in 1955, he continued work on digital techniques and the application of computers in connection with navigational aids for civil aviation, the processing of data from radio telescopes, the control of Narrabri radio heliograph, and the control of the Siding Spring 3.9-metre telescope. He retired from CSIRO in 1978 while Assistant Chief at the Division of Computing Research. Following his retirement he served as a Senior Research Fellow in the CSIRO Division of Radiophysics. In 1980, he was awarded an Order of Australia Member (AM) in recognition of services to Radiophysics.